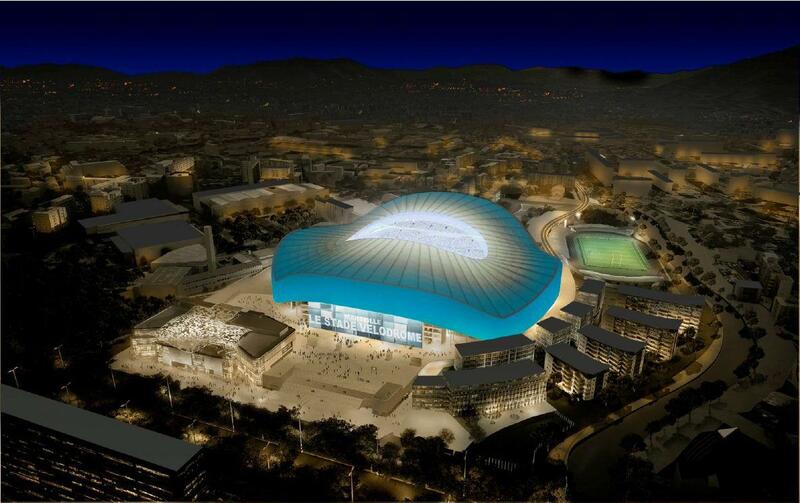 residential/commcercial/office buildings, rugby stadium with 10 000 capacity. 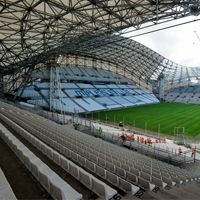 When deciding to rebuild the famous Velodrome in Marseille ahead of Euro 2016, three main criteria were taken into account: capacity increase, covering all spectators and creating additional corporate seats. 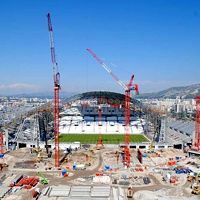 Municipal authorities had two options, with choice being between consortiums of Vinci + Populous and Bouygues + SCAU. 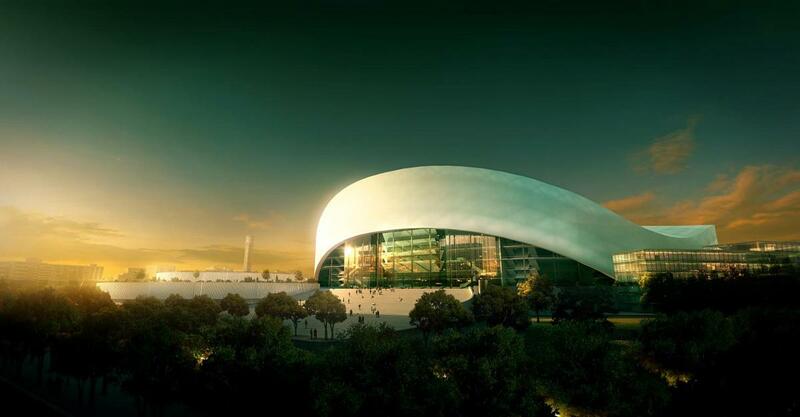 The other concept was chosen after having offered to retain the unique shape and even emphasizing it with an ellipsoidal roof. 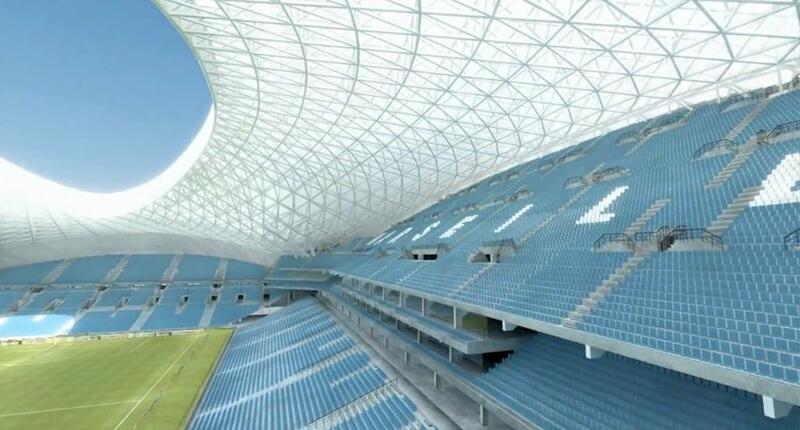 Stands along the pitch are were extra capacity, including luxurious seating, will be created. Despite very strong words over the past weeks, both sides signed a 3-year contract yesterday. 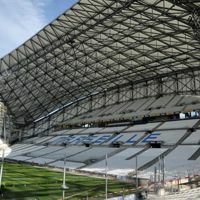 Olympique pledged to pay one of the highest rents for its first year and will remain at Stade Vélodrome. 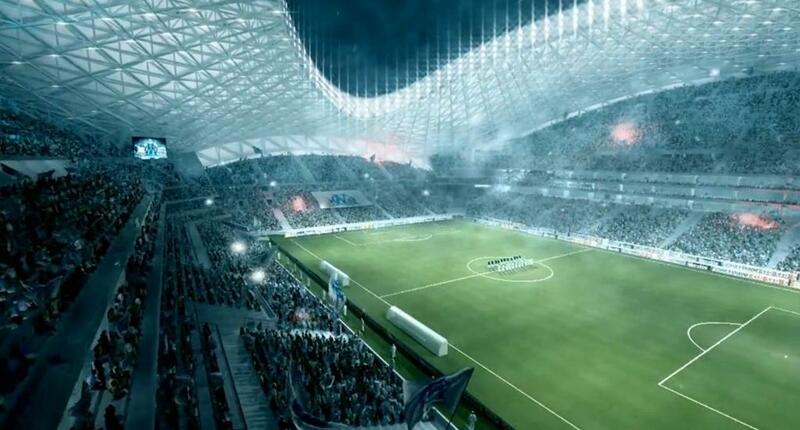 14.07.2014 Marseille: “Pharaonic project” too expensive for Olympique? 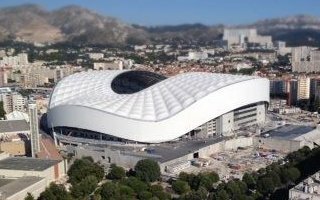 After almost two years, the unique dome of Stade Vélodrome is able to support itself without temporary pillars. 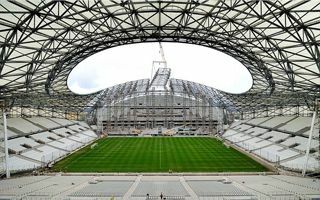 The structure weighs 6,000 tons, but still seems very airy and lightweight. 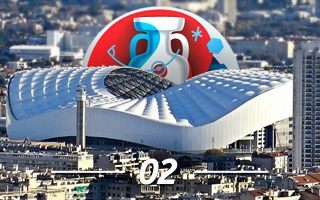 22.03.2014 Marseille: Roof over Vélodrome ready! 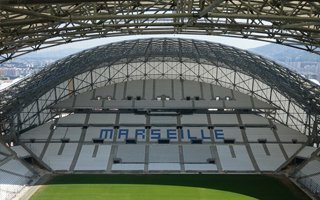 Yesterday saw the most spectacular part of refurbishment works end with a 100-meter long truss installed atop the Marseille stadium. Opening is planned for this summer. 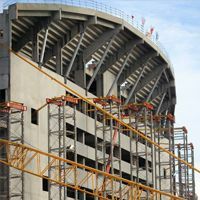 The precast concrete structure is ready. 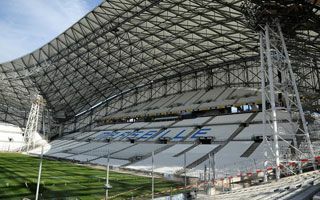 Now last phases of the roof works begin as steel girders are to be installed atop the new Tribune Jean Bouin. 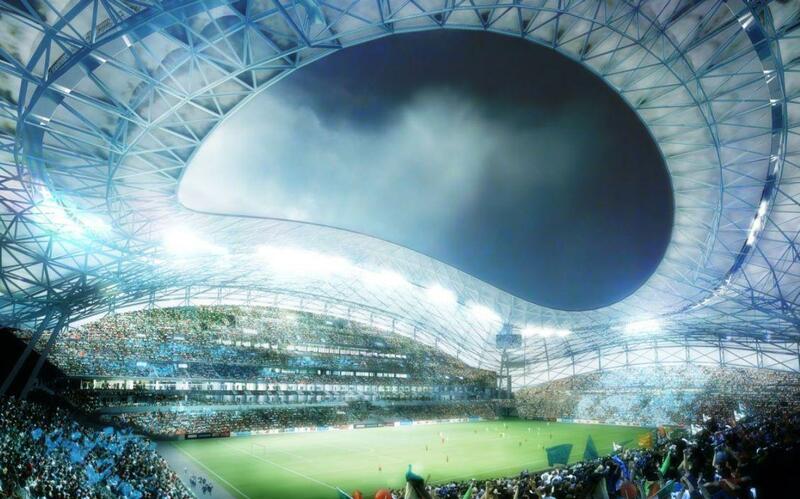 2014 begins impressively in Marseille, where the very last side of Stade Vélodrome just began receiving its cover. 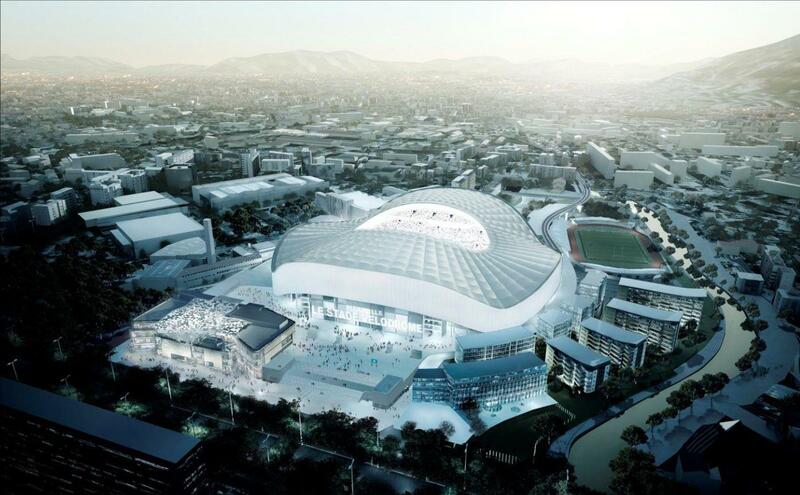 This marks the last major phase of the famous stadium’s redevelopment. 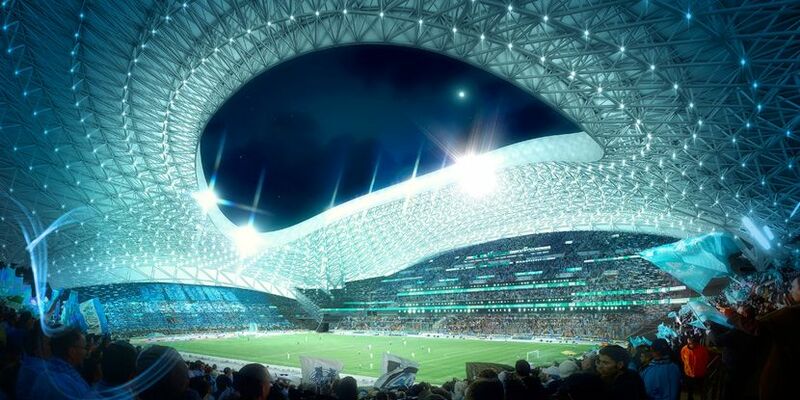 Works on finishing the largest stadium built for Euro 2016 are progressing as planned, sure to finish next year. 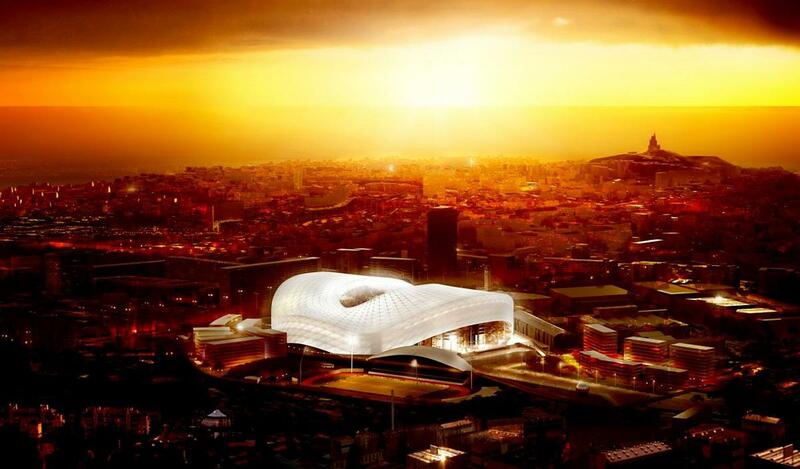 The investors have just presented skyboxes and hospitality spaces across the western Tribune Jean Bouin, which will accommodate almost 19,000 people. 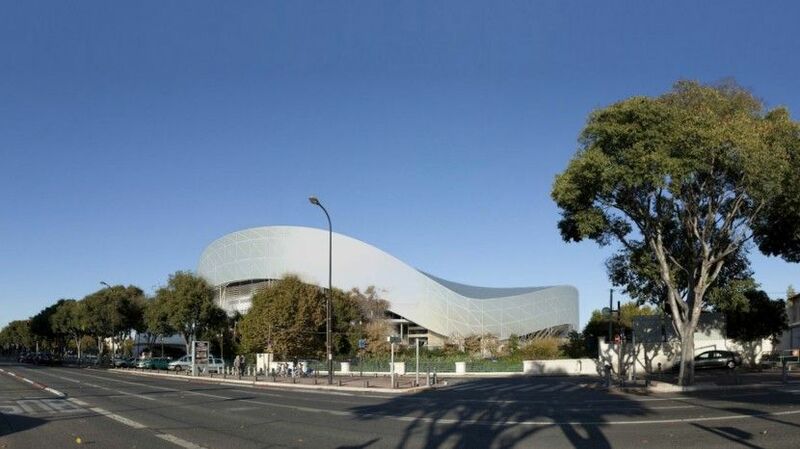 Each of the three available stands is still subject to construction works, but this changes little for Olympique, who are able to sell as many as 48,000 tickets for Ligue 1 games. 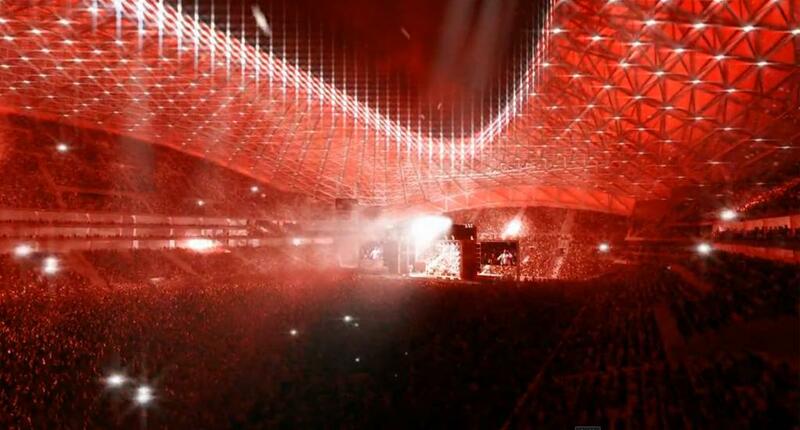 Eventually this stand alone will be able to accommodate 19,000 people! But for now work is on ground level, soon expected to go upwards, reaching 8 floors. 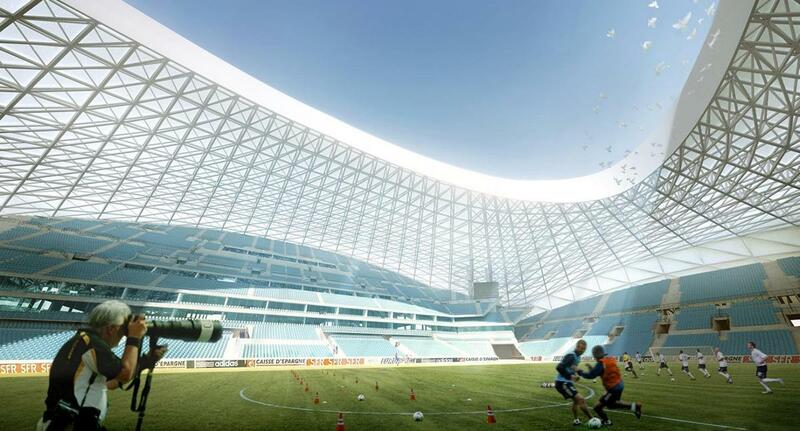 Arema-Velodrome.com report. 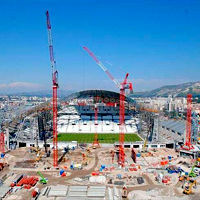 After dismantling the old stand, erection of the new superstructure started. First element to notice from afar are five cranes that are now being installed on site. There are Just a few of those in Europe. 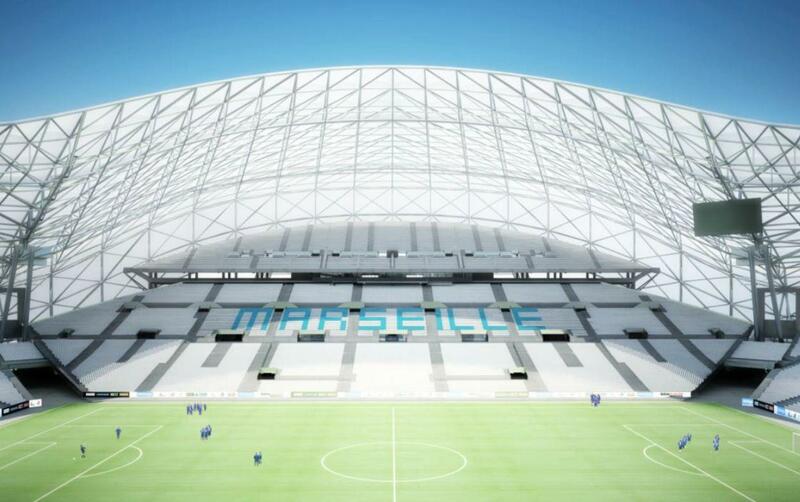 Two will soon start installing the roof of Marseille’s largest stadium. Each weighs 29 tons and can lift up to 1,250 tons of load, investor informs. 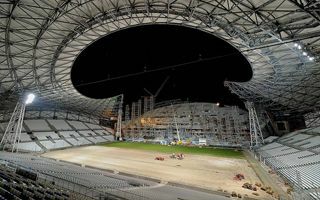 Already over 30% of the steel frame that will support future Ganay Stand roof is in place. 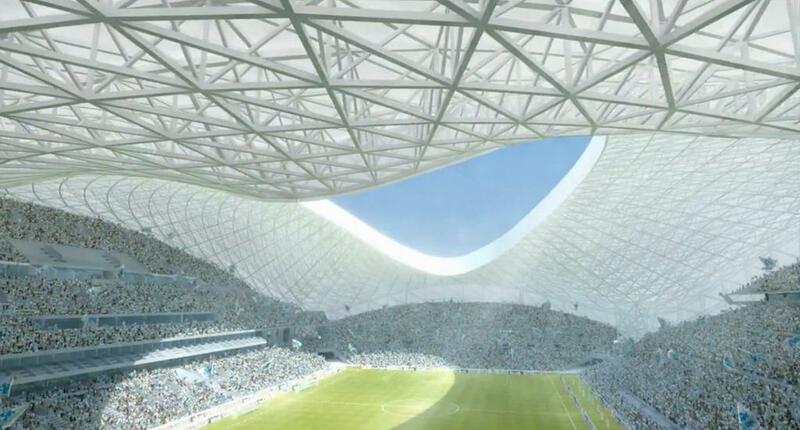 The skeleton is to be done in September and the project manager is happy with progress, official website informs. 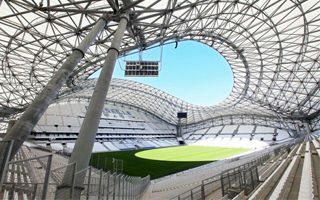 19.08.2012 Marseille: What’s new at Vélodrome? 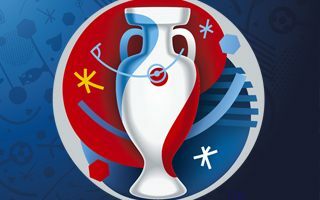 Today at 1700h fans will first see their beloved stadium since the last season. In the meantime Ganay stand’s second tier has been completed and now works moved on to the roof – club informs.